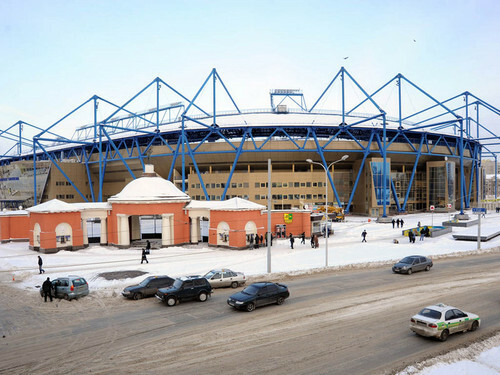 Metalist Stadium, Kharkiv (Ukraine). Capacity: 38,863. Venue for Euro 2012 Group B matches.. HD Wallpaper and background images in the UEFA Euro 2012 club tagged: euro 2012 sports football venues ukraine. This UEFA Euro 2012 photo contains carriageway, business district, and downtown. There might also be street, city scene, and urban setting.